Knack Systems is a co-innovation and Gold Services partner of SAP with a focus on Customer Management which includes Cloud Solutions, HANA, BI, and SCM. 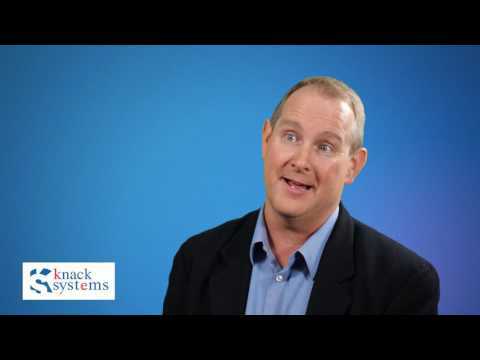 Knack Systems’ provides end to end services in SAP transformation programs including solution road-maps, implementations, integration services, roll-outs, support, upgrades, testing and package evaluations. With over 14 years of experience providing SAP consulting services, Knack Systems has developed a robust Global Delivery Model with three offshore locations and successfully delivered multiple SAP CRM, SAP ECC, BI, SCM and TPM programs globally. Knack Systems’ has developed products with SAP for Social Media - Facebook, Sales Methodologies - Miller Heiman, Upgrade toolkits, etc. These innovations are featured on SAP’s EcoHub and are also being deployed at multiple client sites. Knack Systems’ has developed the blueprint and best practices on how organizations migrate from a CRM On-Premise installation to a cloud infrastructure. The solution provides the underlying technology designed for SAP Cloud for Sales, Cloud for Service and Cloud for Marketing. Knack System also offers various SAP Rapid Deployment Solutions that come with a predefined scope and fixed cost. We are happy to be supporting world’s leading organizations like Sony, L’Oreal, PepsiCo, American Standard, Sanofi Aventis, Kennametal, Sharp, Bose, Lennox International, DTE Energy, Reliant Energy, Dow Chemical and others in their IT initiatives.